Roles are used to affect the users perspective and permissions in the system. You can create groups with or without roles. There are predefined groups in the system with the same name as their roles. Permissions that each role grants is shown below. 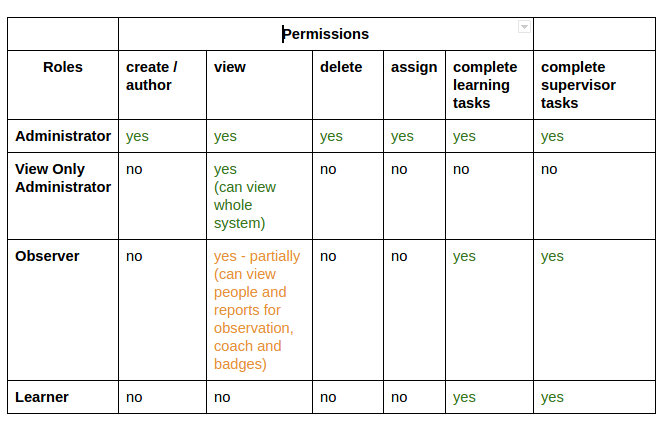 Users can have multiple roles... the resulting permissions will be a union of the permissions.